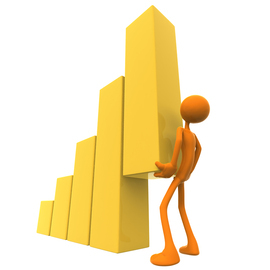 How Guest Posting Can Boost Your Website Traffic? As the internet has grown over the past few years, so has blogging, and along with it, the concept of Guest blogging. Guest posting is becoming increasingly popular in this so-called "blogosphere". It is a very effective marketing strategy, and allows you to publicize your blog to places beyond your reach. 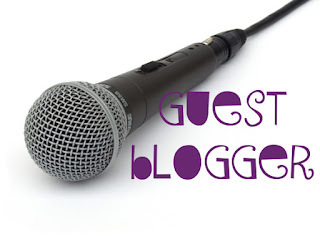 Guest posting means allowing others to come and write on your website or blog. In addition, it can also refer to you writing posts for other blogs. You can immediately see how this helps the host by reducing his workload. But why go through all the trouble of writing for someone else, when you won't be getting any immediate reward for your services? That's an irrelevant question to me. I'd rather ask, "Why not? ", because there are so many benefits to guest posting that after reading all this, you might want to do it yourself. Of course guest posting is mostly about building backlinks. When you post on a website, the host is obligated to give you a "dofollow" link, which in other words is a backlink. Noe contrary to buying backlinks from packages, such as $9.99 for 1,000 backlinks bla bla, this method creates genuine backlinks. 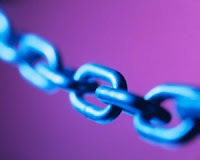 If you guest post on an authority website, then your backlinks will be better quality. Even if the site is not very popular, you will still get a backlink that is relevant. Now, the backlinks people buy are neither of those things. So I would recommend you to avoid those, and go for guest blogging instead. When you write for another website, you are interacting with a whole new audience. That audience might be small or large, but it is still audience new to you. From these people, chances are that some will click on your backlink or your profile, and land on your own blog. Wouldn't it be nice if you could convert most of the traffic on your guest post to your own website? Well, here's what working hard work even for guest posts comes in. You are more than successful if you are able to divert half the people reading your guest post to your own website. Write a convincing, killer post so hat people don't get many other options. Write a post such that the readers are encouraged to comment. Ask a question at the end, or raise up points that controversial, in the sense that people think differently about something, and not in a way that they start fighting each other in the comments. Voice your own opinions here, even if hey differ from the public opinion. This will hopefully raise a lot of comments. As a result,your post might just end up in the featured posts or the most popular posts on the host blog! How awesome is that eh? For so long as it stays there, your post will thrive, meaning more traffic juice for your own website! Your next stop should be comments. Reply to any comments you get on your guest posts. Increase your interaction with your new audience! If you communicate with them, they are likelier to follow you to your blog! And once again, commenting will make your post popular. So go for it! Writing on your own blog establishes you as an authority of sorts among your audience. They can recognize you in comments or social media, and will interact with you. When you post on another blog, even more people get to know you. Best of all, you don't have to have a blog of your own for guest posting. You can build your own authority or recognition in the blogging world by writing guest posts on other blogs. At least, this is how I started out. I wrote my first post on a friend's blog as a guest author, without having any blog. Yet, here I am, writing a post at such a prestigious blog such as this. and a few of you have come to recognize me, especially those who have been following SEM. Hence, you simply can not pass off this opportunity to build your own authority, even if you don't have a blog / website of your own. The good thing about guest blogging is, there is little or no technical handling of the blog involved. You don't have to worry about stuff like SEO, keywords etc. You don't have to spend anything. You don't have to worry about the management of the blog. All you have to do is write! Dealing with plugins and stuff is the job of the host. If you are getting paid, or being rewarded for your guest posts, then what can be better? Now this is just what a marketer wants; to reach out to more customers and increase awareness about his business. In fact, many people are guest blogging solely for this purpose. 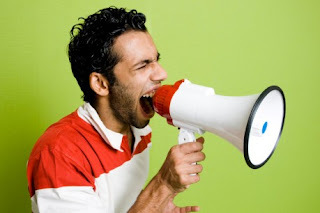 They write posts about a particular product or service, and then submit them as guest posts across multiple blogs. This way, their product gets instant exposure! This is a very effective method for increasing the potential number of customers. Some goes for building a new brand. If you don't have a website, or a blog, you can still write about your brand to let people know about it through host websites. When writing for your own blog, you have to do all the management yourself, all the SEO, all the technical stuff etc. As a result, you are left with lesser time for actual writing part. With guest posting, you can concentrate only on the writing itself. Not only that, you can write about whatever you want! Usually, you are bound to first choose a topic relevant to your site niche. This can limit your options. But if you want to write on whatever you like, just look for a blog in that niche that allows guest posting, and you're ready to go! This will give your mind more space and time to think, and will give you more practice. Eventually, you will see yourself improving at your writing skills daily! Guest Posting At MBT - A True Rocket Ride! Nice Post, Hy Any One here is having problem with scheduling post. it has happen to me from 2 days. my posts are not publishing on time..and one here have the same problem? It's nice to do guest post on other people's blogs. I did one here and now I am already beginning to reap the benefit because some people have actually followed my link to visit my blog at Business Success Guide and am really happy to have been given that rare opportunity. I am hoping to do another quality post in the nearest possible time. Thanks Qasim for this timely post. Nice Qasim Bhai I am Just feeling hesitation about me guest post Should I also write a guest Post at MBT? I want to do guest posting for this site. What's the concept? how guest can post to my blog?? @Syed Faizan Ali Have you tried to make sure the time zone is set correctly?